At least four Japanese artists have been internationally acknowledged for their work recently – threein the past month alone. 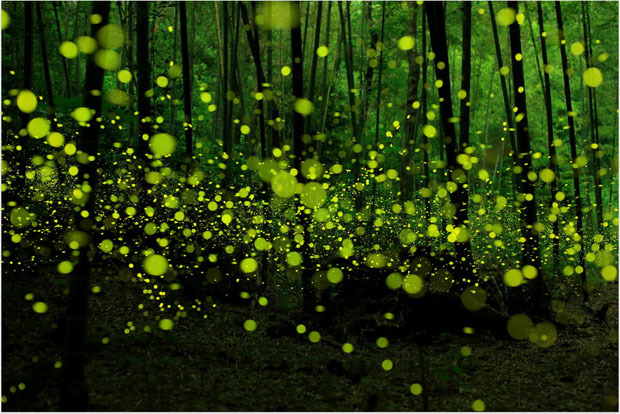 In addition to their shared heritage, Yume Cyan, Tsuneaki Hiramatsu, Yuki Karo and Yayoi Kusama also share a passion for a certain curious, effulgent insect that has captivated almost every child at one point or another: the lambent firefly. While little personal information is available on Mr. Cyan, he seems to be an amateur on the local Japanese photography scene, having only surfaced with the publication of his firefly photos this past year.